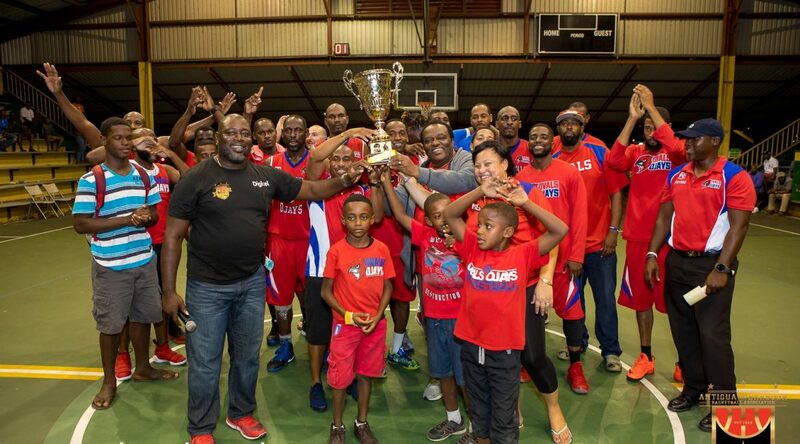 On Sunday 6th, the F&G Trading Cuties Ovals Ojays ousted Flyers Basketball to claim the 2018 Digicel ABBA League Division One Championships. General Secretary of the Association, Aldo McCoy presented the Ovals men with their 2018 trophy, while longstanding sponsor, Hon. Steadroy “Cutie” Benjamin, accepted on the team’s behalf.